The Top 5 Scary and Mysterious Things Caught by Drones on camera and GoPro, including some scary things that you might not expect. In this best top 5 list we cover everything from the supernatural with alleged ghosts caught on camera by drones, to creepy aerial video of surfers actually floating on top of sharks, completely unaware. There’s also analysis of fpv video and quadcopter footage from the initial launch of the GoPro Karma drone, which had random power losses that made it a danger to both the pilot and people below when it failed. 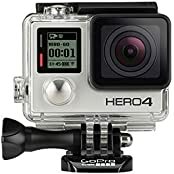 Including footage from DJI and GoPro Hero 6 cameras. Thes are true scary stories caught on camera by drone operators. GoPro vs Realidad – La frustración de los mountain bikers con las cámaras de acción!